Bring water, a towel (or exercise mat), and your forms. If you own your own set of weights, please bring them. Otherwise, they have some available for your use. Dulcinea will be wearing a RED Baseball cap to identify herself. MEETING LOCATIONS: 6am & 6:30pm: You'll meet in the parking lot of the Pan Pacific Park @ 7600 Beverly Blvd, 90036 near The GROVE. 7:15am: You'll meet in the parking lot of the Senior Activities Building of the Pan Pacific Recreation Center @ 161 S. Gardner Street, Los Angeles, CA 90036. The entrance is between Beverly and 3rd Street, follow the driveway next to the Fairfax Library. There is a big red and green building on the other side of the drive. The address is 161 S. Gardner Street, Los Angeles, CA 90036. There are no upcoming “Hollywood” classes on this day. This is the most intense full body workout in LA. Hands down. 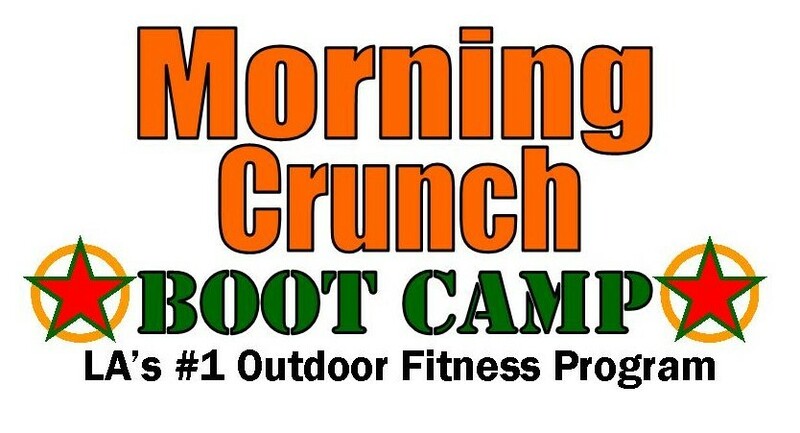 Bravo, Morning Crunch! Our instructor was rude, unwelcoming, lethargic and slurred her words which made following instructions difficult. She paid no attention to form and seemed completely uninterested in being there. Class was good although the instructor was unwelcoming, unfocused and didn't seem to have any interest in being there.